If you’re trying to connect and convince these modern buyers, marketing at the demographics level is simply not good enough. It is estimated that the average consumer is exposed to over 5,000 ads in a day (U.S. data, back in 2007). Unless your marketing messages are relevant and personalised, you won’t be able to cut through the noise. Your prospects want to be educated and informed. They want to feel that your marketing communications – be it your website, your blog posts or brochures – were created especially for them to help them solve their problems. Why shouldn’t they? If you’re not helping them, it’s not hard at all to find someone else who will. While it has been said over and over again that marketing strategies have to be more customer-focused rather than product-focused, most companies are either plagued by inertia or don’t know how to go about doing it. We’ve encountered these issues over and over again across various industries. One of the first steps that we use to help our social media and content marketing clients better understand (and speak to) their customers is through the use of ‘buyer personas’. Personas are fictional archetypes of your customers that are based on real data and market research. 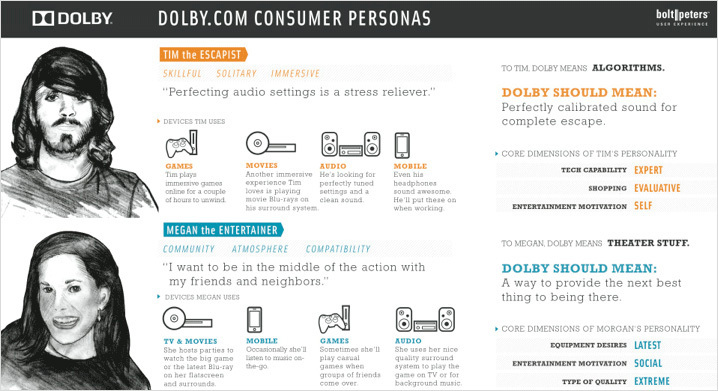 Buyer personas are not shiny new objects. The first buyer persona was called Kathy and was created by Alan Cooper in the late 90s. It was a tool used for design thinking back in the day when software and applications were notoriously difficult to use. The problem was that there were so many ways to use a particular software that even brilliant developers had problems envisioning how a typical user would most frequently interact with it and thus, the most user-friendly way to design the interface. Who uses our software? What features do they use most frequently? Infrequently? The end result? The product was so successful when it launched that it defined an entirely new product category. The company also went public four years later. Perhaps a critical aspect of buyer personas was that it was developed in the trenches, and not in the laboratory or lecture hall. It was created to solve a common problem and it solved it very well. Given the myriad of communication options and marketing strategies available to marketers these days, it’s easy to see how personas can help marketers make sense of the chaos. It is drilled into every marketer that “thy should know thy customers”. Everyone knows the importance of this. But what does that mean? The on-ground reality shows that marketers are having problems moving from the traditional product-centric marketing to a customer-centric approach. When we ask marketers to tell us about your customers, we still get answers along the lines of “We want to target professional women aged between 24 and 45 living in Singapore.” For B2Bs, it can get even fuzzier – “We want to target SMEs”. That’s not very useful is it? As you can see, creating personas forces you to put yourself in your customers’ shoes and empathise with them. When you have these in your marketing toolbox, you are able to communicate more relevantly and persuasively to your prospects. 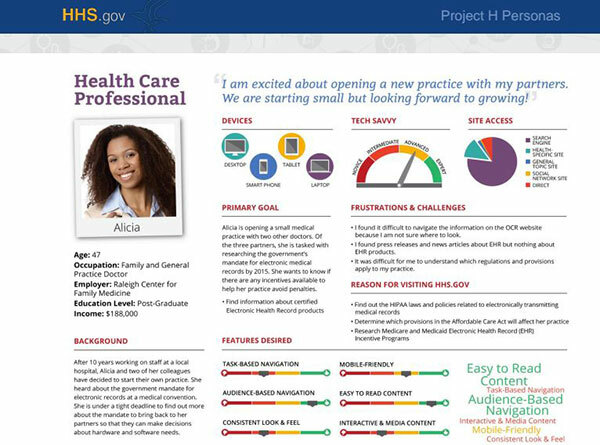 Personas require real information and data about your users. Your digital marketing agency must conduct staff and client interviews, observe customers in action, collect website data and so on. Creating personas in a vacuum is a disaster waiting to happen. While it may seem that personas are more skewed towards B2Cs, they can and used be used for B2Bs as well. Here at CloudRock, we use personas quite extensively. There are several differences on how you would approach it though. For example, for B2Bs, we prefer creating personas for each member of the Decision-Making Unit (DMU) since most purchasing journeys are done collaboratively. You should not get your buyer personas mixed up with your brand voice or brand personality. We had a meeting once where we were presenting our personas and our client got confused and thought they were the brand’s personality (obviously, a brand should have only one personality). Personas are never ‘completed’ in the same way that your customers’ behaviour will never stop changing. You need to be willing to revisit your personas and tweak them as you learn more about your customers. Gone are the days where you can send out one message to everybody. If you’re still doing that, then your messaging weak and invariably gets lost in the clutter. When you know who your buyer personas are, you can tailor your messaging and language to create more impact. This doesn’t mean that your core messaging changes. You just emphasise different aspects of it to different personas. 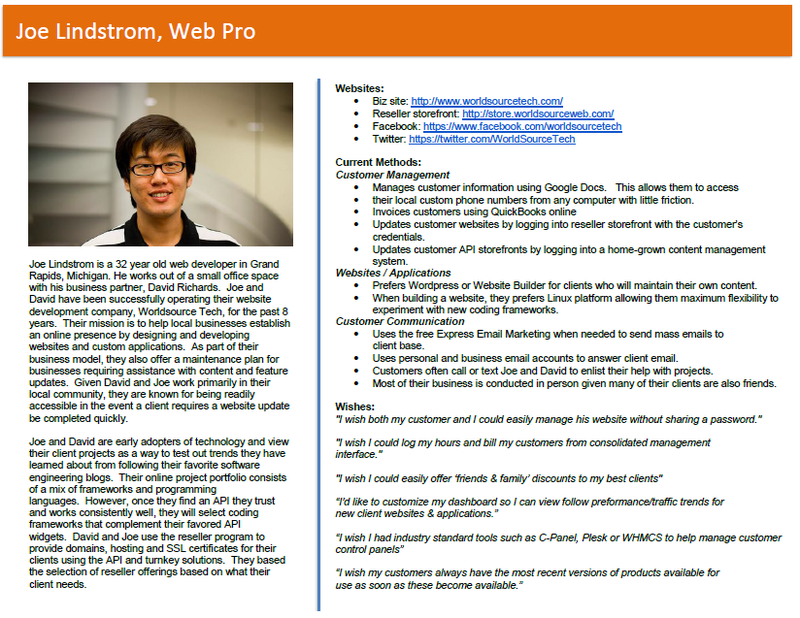 Here’s an example of how we use personas at CloudRock. As with most service businesses in Malaysia, we deal a fair bit with family-owned businesses. There is typically the patriarch who built the company, and then there are his children who will take over the company one day. When we go for our initial meetings, we tailor our messaging according to who we’re talking to. Our messaging to 60-year-old CEOs and their 30-year-old heir apparent is the same, but the angle we emphasise on is different. For the older generation, we spend some time educating them on the benefits of digital marketing in general. They don’t want to hear about how we’re going to implement Google AMP on their website or the intricacies of SEO link building. They want to learn more about us as a company, what their competitors are doing, changes in customer behaviour and determine how well we ‘get’ their brand. They don’t want to go into too much detail. For the heir apparent, we invariably have to go into more detail about the latest developments in the digital marketing space, our internal processes, or even marketing tips and tricks. Our core messaging to them – that we are trusted experts in our vertical – doesn’t change. Understanding your customers’ new buying behaviours is a challenge facing many companies. This problem is exacerbated by the speed at which things change. You think you get it today, just to find out that your customers’ buying criteria has changed. By performing adequate research, you will start getting a handle on your customers. Understanding the types of content your personas want, where they get it and when they need it allows you to tailor your marketing and strategies accordingly. Consistent service delivery is a challenge for almost every business, both at the front-line level and the strategic level. When you have buyer personas, everyone in the company will know who they are talking to, what language they should use and what those personas are trying to achieve. This helps foster organisational communications, and most importantly, sales and marketing alignment. When you understand the problems that your customers are trying to solve or the goals that they want to achieve, it allows you to create content that your personas find valuable. You will find yourself shying away from generic content whose only purpose is to get people to buy from you. As the writing adage goes, “Write as if you’re only writing for one person”. Inertia is a very powerful force indeed. When tasked with making key decisions from disparate sources of information and incomplete data, it isn’t surprising that most marketing leaders choose not to make any decision at all. We have encountered this analysis paralysis on many occasions. Personas help decision makers make sense out of the chaos by crystallizing all available pertinent information into a common strategic document. You can then understand which buyer scenarios are common and which are edge cases. When you have a common point of agreement, defending and justifying decisions also become that much easier. When one of your decisions is brought into question, you can defend it using the real data and research gathered during the persona creation process and communicating the customer-focused reasoning behind your decisions to your management or shareholders. We understand that creating buyer personas take a lot of time and effort, which is why companies tend to bypass this critical step altogether. However, done right, personas are an invaluable tool for marketers and business leaders better communicate and compete in this fast-moving landscape.